A waning technology, Microsoft Silverlight, was being used by BUS to value its vehicles via the BUStakst2 app. HTML5 (quite new at the time) was proposed by 99X Technology as their developmental partner. Re-writing of the app commenced. Development of further applications were introduced. A quality management system, BUSQuality2, was introduced targeting existing customers, allowing them to create schedules, tasks, mails, reminders, a document handling system which allowed direct uploads to the site. A feature rich application. Yet another requirement was included: a system that issued drivers of test vehicles test license plates. 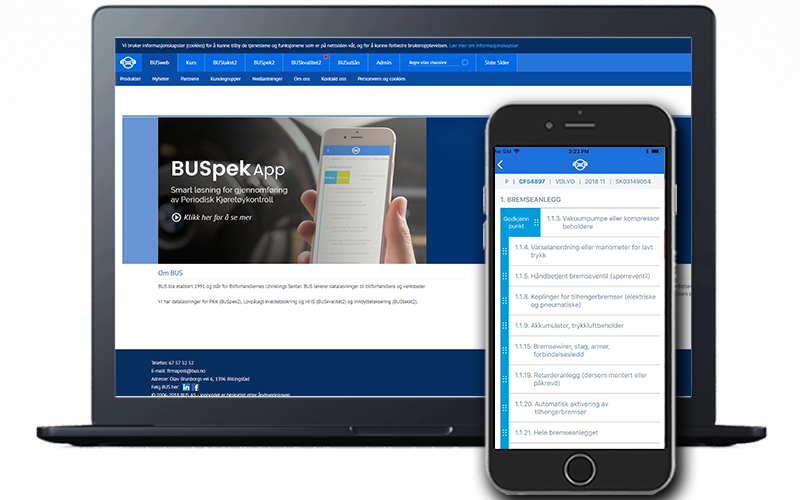 To keep customers even more up to date with latest tech, a mobile application was implemented for the most revenue generating application; BUSpek, which would enable users to conduct inspections via the mobile app. HTML5 was extremely new at the time and therefore, not many resources were available, which made the entire development quite the challenge. The development of the feature-rich application came with its own set of challenges. Scanning images directly into the web app had to be engineered through some fairly complicated technology, as did the live document editing. Further, the mobile application had to be delivered on an extremely tight deadline of three months – five years’ worth of business logic to be distilled into a mobile app in that space of time. The 99XT team had their work cut out for them! The initial technological upgrade of the BUStakst2 and BUSpek apps from Silverlight to HTML5 was so successful that it brought about the introduction of the subsequent apps detailed above, including the mobile app when its necessity and potential in the market was realised. Overall, since the upgrade of the existing apps and introduction of the new apps, BUS has seen an increase in profitability. The 99X Technology team also introduced various improvements to the way they worked. With the need to introduce more features to the customers more frequently, they increased the frequency of releases to one every month, instead of a release once every four to six months. Previously, a huge amount of features had to be tested in one go. Now, with releases every month (release trains based on SAFe), the team is able to update customers with new features more frequently, while reducing developmental and testing efforts on their end.